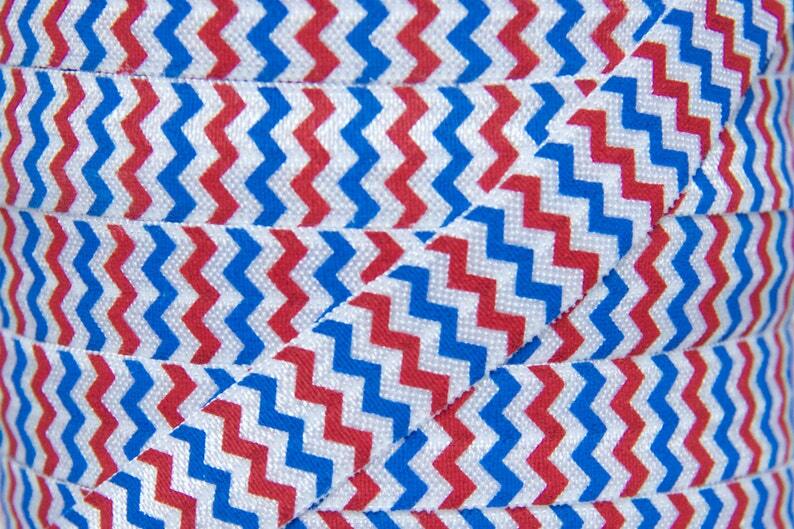 This listing is for 5 yards of soft and stretchy fold over elastic (FOE) in Red, White, and Blue 4th of July Chevron Print. The elastic is shiny on one side and matte on the other. 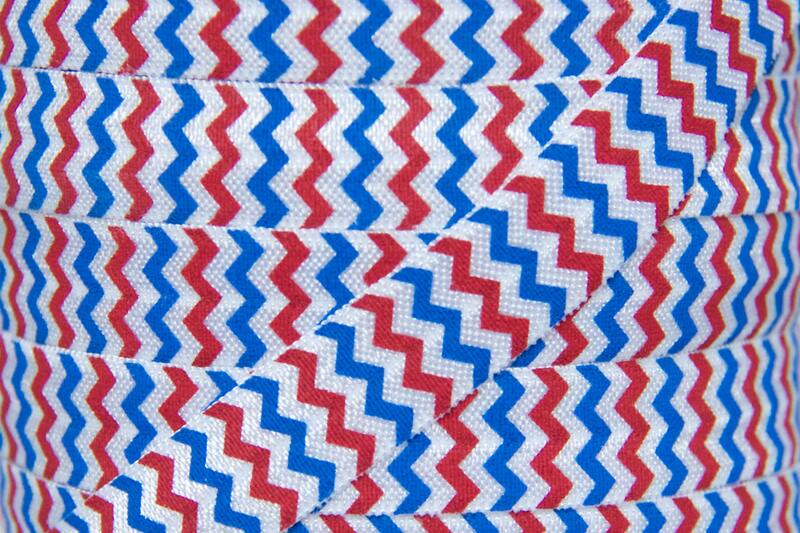 Perfect for DIY headbands, hair ties and other accessories. Fast shipping. Excellent quality. Just as pictured.